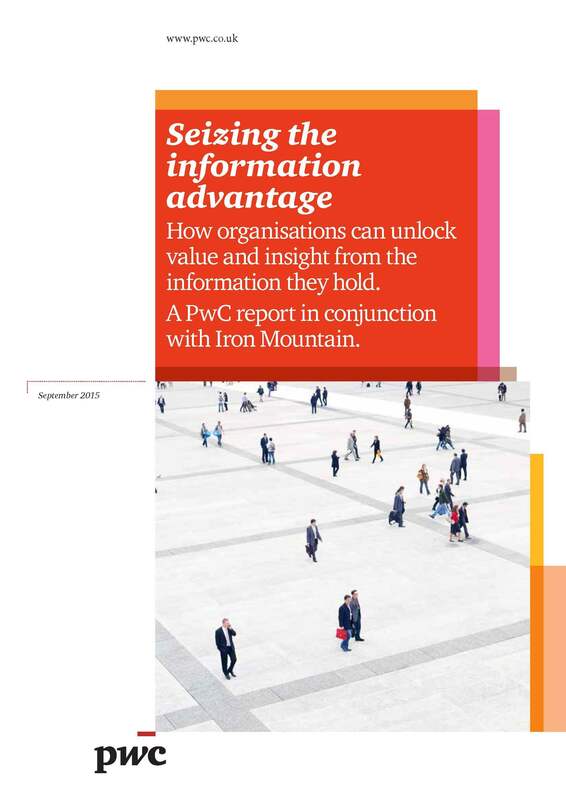 According to new research from storage and information management company, Iron Mountain (IRM) and PwC, just four per cent of businesses are able to extract the full value from the information they hold, with over a third (36 per cent) lacking the tools and skills they need to do so. As a result, 43 per cent of European and North American companies obtain little tangible benefit from their information, and 23 per cent derive no benefit whatsoever. The results of the study have been used to create an Information Value Index that measures how well different businesses in different countries currently manage their information for competitive advantage. With an average score of 50.1 out of an ideal score of 100 (46.9 in the UK), the index confirms that the vast majority of businesses ‒ regardless of size, geography or sector ‒ have a long way to go before they can fully release the value from their information. “How businesses think and talk about their information has changed. The conversation is bigger now. Risk and reputation still feature prominently, but the discussion now includes the idea that making the most of information can improve operations, open up new opportunities and help secure competitive advantage. "Our research with PwC shows how a lack of skills and technical capabilities as well as a number of cultural factors are holding many companies back from achieving this goal. The impact of this shortfall is felt right up to the board room. Businesses that don’t catch up with the front runners in their industry risk becoming irrelevant,” said Elizabeth Bramwell, director at Iron Mountain. Download the full white paper for more information.